Posted August 16, 2016 by Josette Farrell in News. 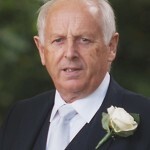 The death has occurred of Eddie Hanley, Oranmore, Galway. Carnmore Stud; Peacefully. Beloved husband of Mary; will be sadly missed by his wife, daughters Helena and Cepta, sons Shane, Fergus and Iggy, sisters Mary and Nellie, brothers Tommy and Joe, daughter-in-law Yvonne, grandchildren Mia and Ethan, nieces, nephews, relatives and friends. Reposing at Síoraíocht, in the grounds of The Assumption and St James Church, Claregalway, this Tuesday evening from 5pm with removal at 7pm to The Church; Mass on Wednesday at 11am; Funeral afterwards to Claregalway Cemetery. Family flowers only please, donations, if desired, to a charity of your choice.